"Summer is a mini-lifetime" is my loose translation of a popular Russian saying. I suppose a lot can happen in a whole quarter of a year! But in general summer usually starts out with a list of hopes and dreams and some grandiose plans...and then before you know it, September is just around the corner. Were your expectations met? 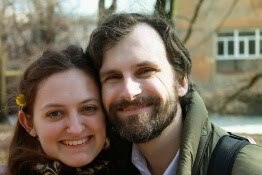 This has been my first summer in Russia in awhile... probably since the summer we were married (4 years ago), and even then we spent 3-4 weeks in the U.S. I used to focus more on being home for Christmas, and now summer is the best traveling time for our family. But not this year...we'll be traveling for just 2 weeks in August, and other than that have been around St. Petersburg! I was hoping to get a lot of projects done this summer and we have a lot of friends to catch up with. But we've had a cold going around and have gotten behind on everything. We barely just got caught up on family birthdays, and I'll be lucky if I even hand in my Immigration form before we leave on our trip! I will say that weather always seems to play a role in how summer goes. Funny, is it that way for other seasons, too? This summer has been cool, and I am incredibly thankful for that. Although we've yet to spend a full summer in this apartment, I can imagine how 2-3 months of heat during White Nights would be a lot to endure. So I have been relishing the cool breezes, admiring the rainstorms (from inside), and appreciating the occasional warmer day. Plus-no mosquitoes!